Minnesotans from across the state gathered in the Capitol rotunda to support clean water during the 2017 Water Action Day. Budget uncertainty, election-year politics and a sometimes-heated debate on environment and conservation issues should make for a fascinating legislative session. Here are our priorities for the 2018 session, kicking off Tuesday, February 20. We'll be advocating for investments in essential water infrastructure, programs that will reduce agricultural and salt pollution, and working to stop rollbacks of existing environmental protections. Minnesota is in the second year of its biennial budget cycle. Typically, this means that the Legislature focuses on investments through bonding instead of budget and policy items. This year, finances are complicated by uncertainty in the state budget forecast, with some forecasts showing modest surpluses while others show deficits. Capitol watchers expect that if there is a supplemental budget bill this year it will likely be small, limiting the potential for significant new environmental general fund spending. The Republican legislative majority is also focused on passing a tax bill sure to impact a variety of budget and finance decisions. The at-times rocky relationship between the governor and legislative leadership also makes for an unpredictable session. This session marks the final year of Gov. Mark Dayton's term, which coincides with Republican control of the Minnesota House in an election year for that chamber, paired with a narrow GOP majority in the Senate (which has 4-year terms running through 2020). Additionally, the governor has chosen to veto several recent environmental policy and funding bills, raising the stakes for environmental issues this session. In this interesting landscape, here are FMR's top priorities. We know Minnesotans value clean water. This year, we hope the state’s funding decisions reflect those values through three priority clean water investments: bonding, Conservation Reserve Enhancement Program and the Clean Water Fund payback. This year, we anticipate that the governor will request $167 million in water infrastructure bonding to begin fixing drinking water and wastewater systems across the state. CREP is a state conservation program that builds off the federal Conservation Reserve Program (CRP). It works with farmers and private landowners to restore and protect water quality in primarily agricultural regions. State bond funds will leverage federal funds through a five-year initiative. In 2008, Minnesota voters took historic action by voting for the Legacy Amendment, essentially imposing a three-eighths of one percent tax on ourselves for 25 years in the name of cleaner water, healthier habitat, better parks and trails and sustaining our arts and cultural heritage. In 2017, a key part of the Legacy Amendment, Minnesota’s Clean Water Fund, fell victim to a political compromise that raided $22 million from the fund to offset an equivalent cut in the environment funding bill. An agreement in the tax bill promised to repay the $22 million should the state have a general fund surplus following a future budget forecast. We hope the legislature will honor its word. You can learn more about these water infrastructure priorities here. Currently, many farm fields lay empty or brown for much of the year, leading to erosion and runoff. This is a leading cause of pollution for the metro Mississippi. To restore the river's water quality and aquatic life, we need more living cover on our agricultural landscapes. These are things like cover crops that are planted in the fall to hold soil and nutrients in place or perennial crops that are established for multiple growing seasons. The Working Lands concept aims to use the power of markets to establish new cropping systems that restore our waters while maintaining overall farm profitability. In January, the state completed a program study and implementation plan. Our goal this session is to secure modest funding to continue the next phase of this work, with a particular focus on targeting crop replacement to maximize the water quality benefit, development of model contracts, maximizing opportunities for state and federal funding, and identification of demonstration projects. Forever Green is a program that is accelerating the development of economically viable winter annual and perennial crop options for Minnesota. Although modest two-year funding was obtained for this work in 2017, we hope this vital effort will receive additional funding this session. You can learn more about our clean water cropping systems priorities here. Chloride or salt is commonly used as a deicer in Minnesota. Unfortunately, it's also been in the headlines recently as salt levels in our lakes and rivers have increased posing risks to aquatic life and our drinking water. Better training for private and public salt applicators can reduce salt application 30-70 percent without compromising public safety. It should be available statewide. Certified "smart salt” contractors would be able to apply for liability protection, reducing their risk while reducing chloride levels and maintaining public safety. Last year’s session saw both houses of the legislature pass one of the most far-reaching environmental bills in recent memory, rolling back environmental policy and funding nearly across the board. While many provisions were successfully stripped following a veto, many rollbacks are likely to reappear this session. FMR will continue to work hard to prevent further rollbacks and protect Minnesota's existing policies and programs that protect our natural resources. FMR will once again offer regular updates on key environment and water quality issues on our legislative updates blog. Check back regularly! Or sign up for Mississippi Messages to receive a monthly digest of FMR updates, volunteer and education events. 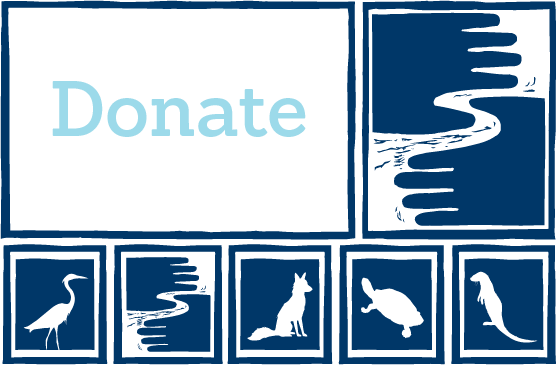 Your voice is essential to our efforts to protect, restore and enhance the Mississippi River. From banning pollutants to passing strong rules to guide local riverfront development, many of FMR's victories are thanks to our strong base of advocates. Sign up to become a River Guardian, and we'll email you when an important river issue arises and make it quick and easy to contact decision makers. River Guardians are also invited to special events, including happy hours, about important legislative and metro river corridor issues.